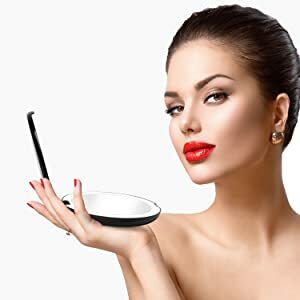 This sleek, modern mirror is small enough to take anywhere, yet powerful enough to allow makeup application without eyeglasses. 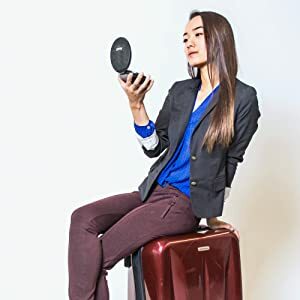 The foldable compact mirror has 2 glass panels with 1x and 10x magnification and is clear from edge-to-edge with no distortion. It is equipped with daylight LEDs which closely simulate natural sunlight to provide you with the natural light that you would encounter through the day - so you can look your best wherever you are. 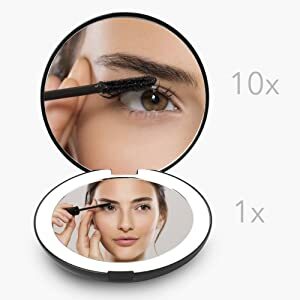 This LED lighted compact mirror has the right magnification for any task, from tweezing to makeup application to contact lens insertion. It fits perfectly in one hand but also stays open when resting on a table. 1X normal view offers you a distortion free image of your whole face. 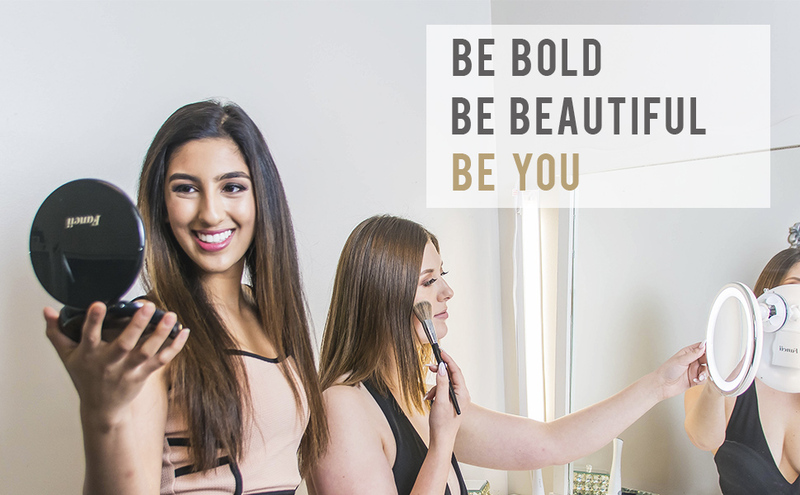 Our mirror is equipped with energy-efficient daylight LEDs that will brighten your face and provide you with natural daylight for the most natural look. The 5-inch wide high quality glass mirror offers an ultra-clear color-correct view, providing you with superior reflectivity and clarity. The perfect companion for any woman. 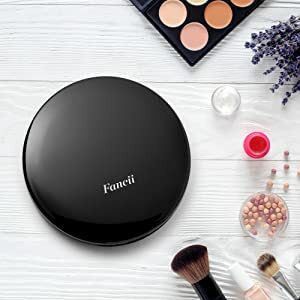 Elegant, sleek, and perfectly sized to fit in your handbag or purse, making this the ideal compact mirror for home or travel use. 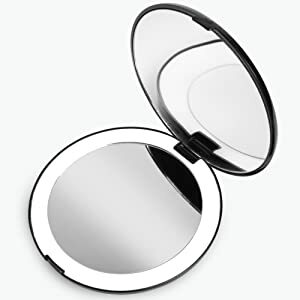 Our compact mirror is attractive and stylish. It comes in a glossy black finish suitable for any occasion.